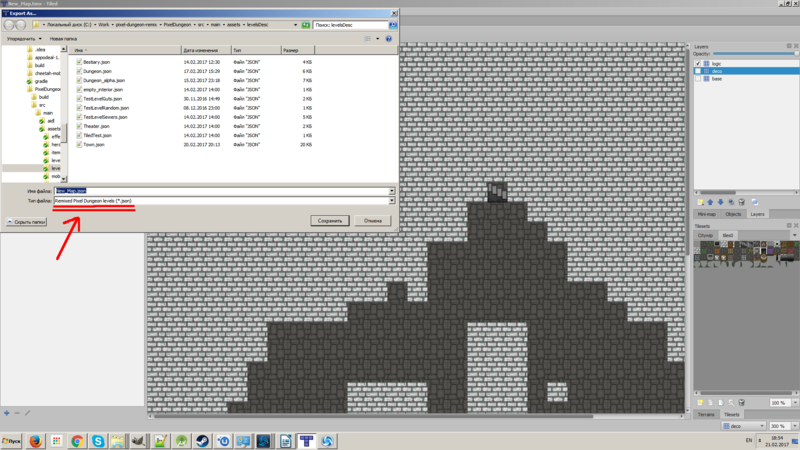 Tiled is a well-known map editor now can be used (with rpd export plugin) to create custom maps for Remixed Pixel Dungeon. 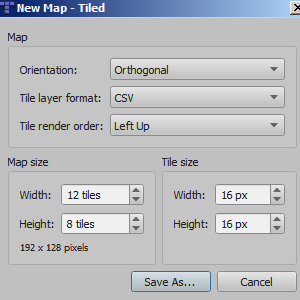 To make it easier to create custom maps, and in order to add new functionality (like using non-standard tile sets), we made a modified build of an open source editor “Tiled”, so that it would export maps in the format RPD would understand. Warning: This build works with Windows only! 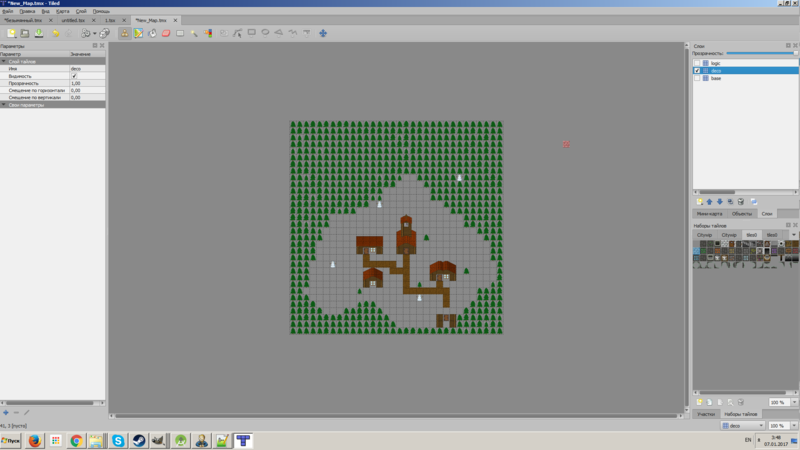 Save the project under desired name, and now we have basis to create a new map. 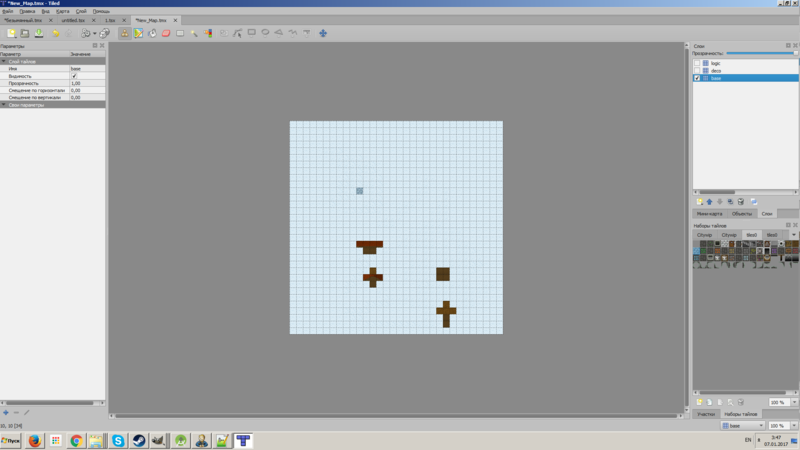 In order for map to work at all, you need to “draw” layout on “logic” layer. 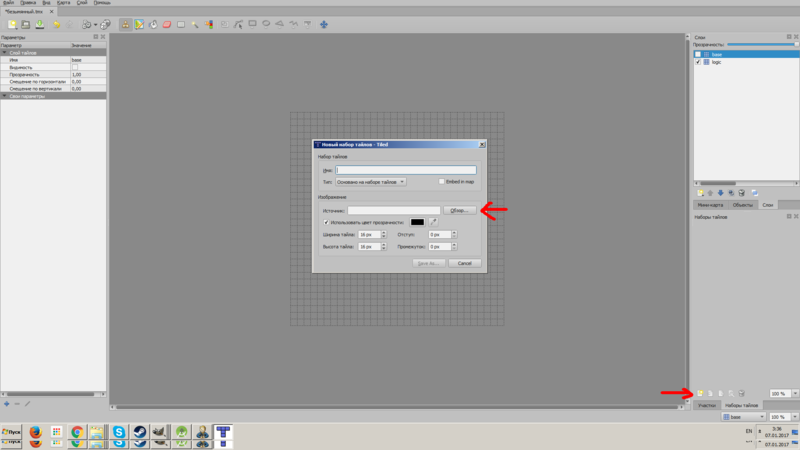 First you need to rename default layer (1. ), or delete it and create a new one, named “logic” (2.) (it is important to use only lower case letters). 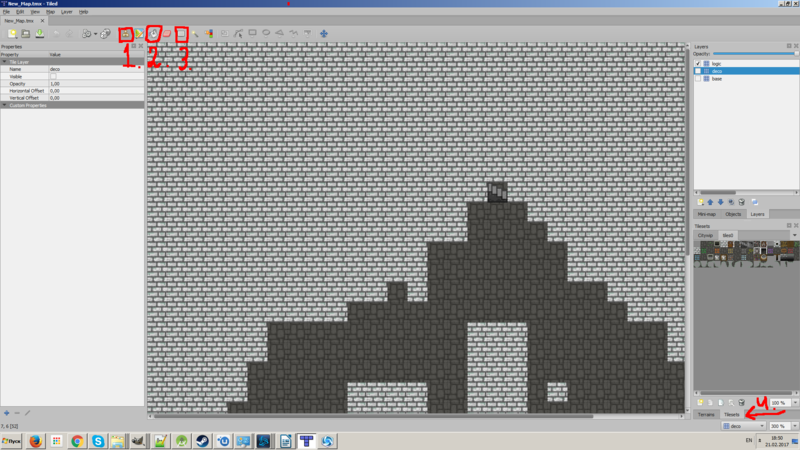 Next you need to load standard tile set of you chose (non-x version). Example. It is important to, again, set tile size as 16×16, and for the sake of convenience set black color as transparent (even if black color is dominant in your tile set, it will become invisible in editor, but it will have no impact on how it looks in a game). 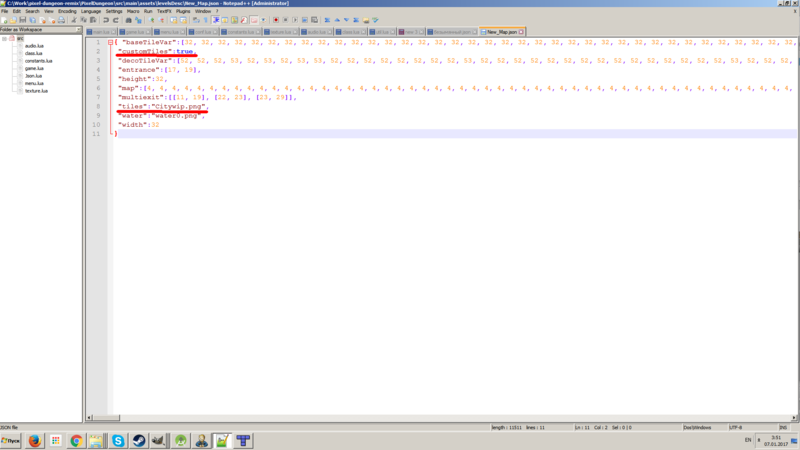 And that way you succesfully created a “*.json” file, which is standart format for rpd custom maps and can be used in your mod. 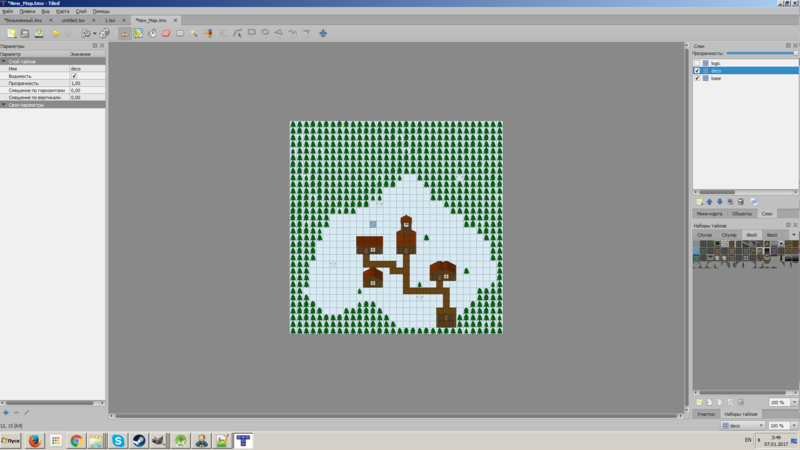 With Tiled you can now create map with non-standard tile sets (but you still require standard set for “logic” layer). This will allow you to have any number of walls, floors, decorations etc. in your custom map. 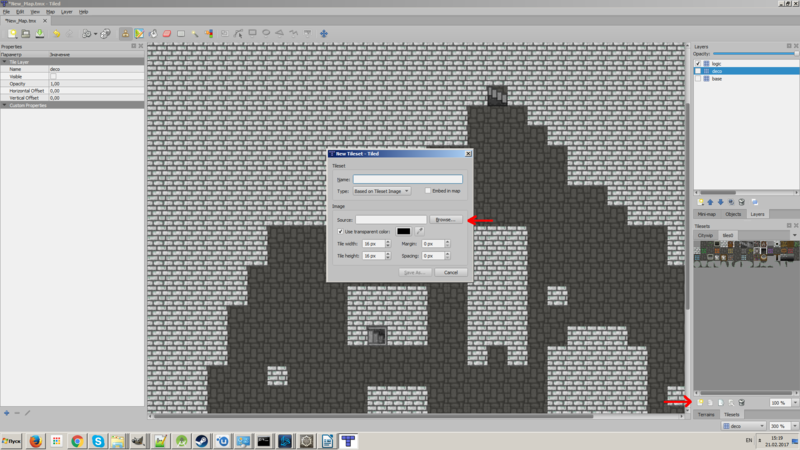 To create a map with “custom” tiles, you need to follow previous tutorial, so that you have logical map layout at ready. 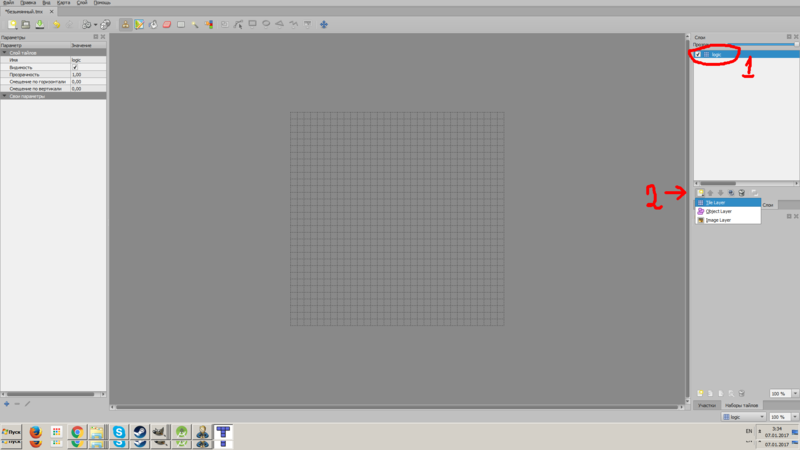 Create “base” layer. This layer serves as foundation for decorative tiles, used to place walls, floor and decorations that does not have transparent parts. 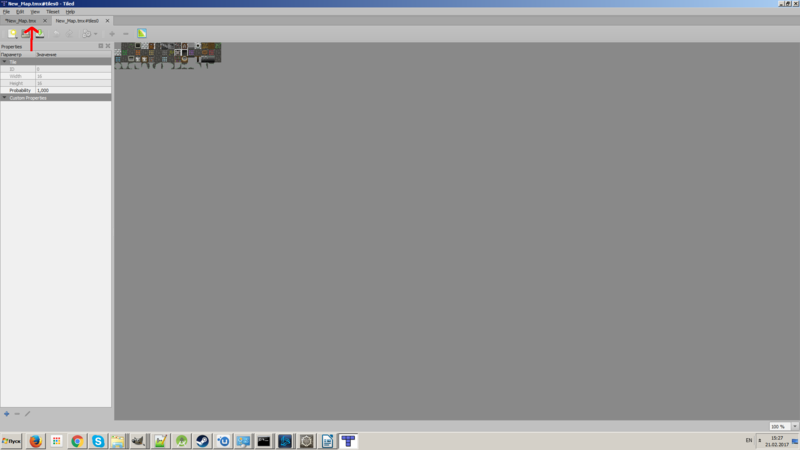 This is a “background layer”. Create “deco” layer. 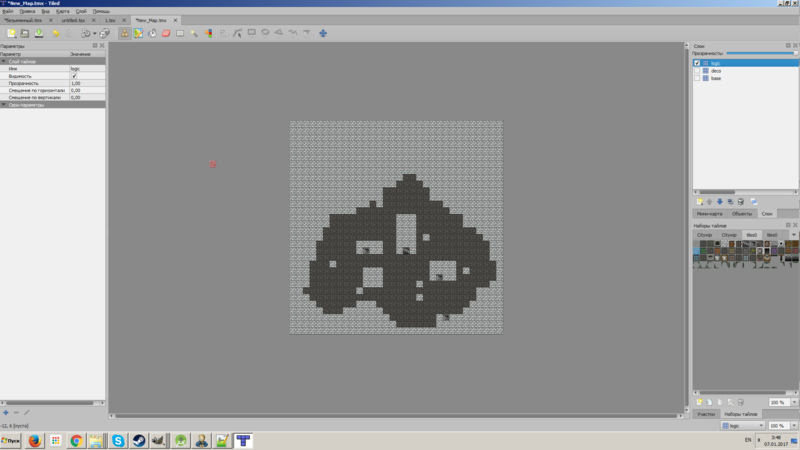 This layer is a secondary decorative layer, which is used to add complexity to your map composition. For example place windows and door on top of your walls from “base” layer. Basically that's a layer that is being drawn in front of “base”.